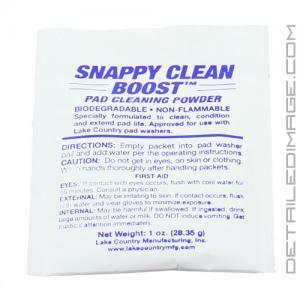 To keep your pads effective and lasting long they should be cleaned after each use with the Snappy Clean Boost all natural citrus cleaner. 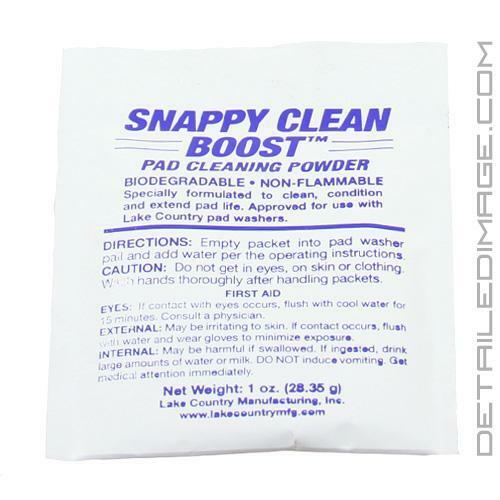 Snappy Clean will help break up excess product and release contaminates to the surface for removal. 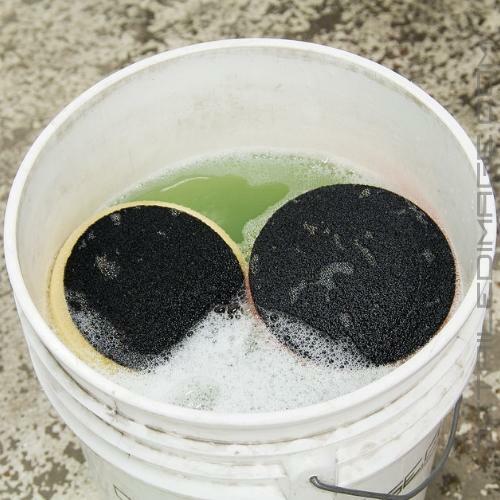 Put your pads in a bucket and fill the bucket with water and then just add the snappy clean mix. After about 15 minutes massage the pads as to break up and further release contaminates. After 10 minutes rinse off each pad thoroughly, wring them out and let them sun dry. 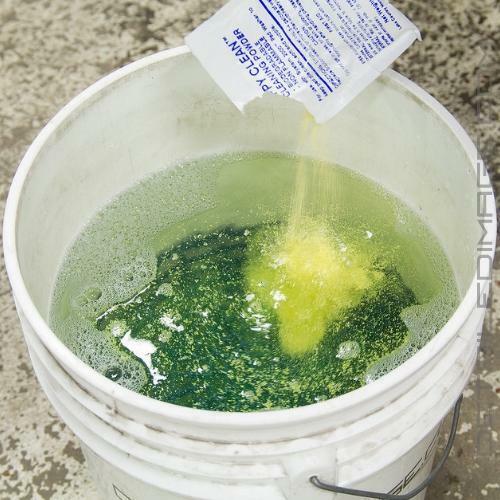 One packet can be mixed with a 5-gallon bucket or use one half of a pack with 2.5 gallons. Clean pads will give you better results so take advantage of this simple and effective cleaner that saves you time and money. With regular cleanings the pads will work effectively over and over again. Specially formulated to clean, condition, and extend pad life. Approved for use with Lake Country pad washers. Empty packet into pad washer pail and add water per the operating instructions. This cleaner is real easy to use and does a great job cleaning the pads. Can't wait to use it in my pad cleaner, will be helpful to gain lost time when doing paint correction. Very cost effective. Great product! I put this in the bucket and fill it with water. I switch pads pretty often, so as I use the pads I will throw them in the bucket and let them sit there. Once I'm done detailing, I take the pads out and rinse with water until the soapiness is gone. This works really well to keep my pads clean.